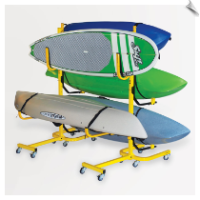 You've bought the ideal stand up paddle board and now you need SUP storage ideas. When restricted space is the fact, storage can be a challenge. Sometimes it is less about choice and more about where for instance a 12 ft. 5" board will fit. It sounds obvious but worth mentioning; consider ceiling height and wall length relative to board size before you purchase a board. Here are some safe secure ideas to get you thinking what will work best for your available space. This page offers multiple storage options along with resourceful money saving ideas. Most of us have unused ceiling space – perfect solution for those who have limited floor or wall space or simply want their board completely out of the way and out of the sun. The garage ceiling is a natural solution. This style of rack is not as common as others. It is more specific and often used when there are multiple boards to consider. You can see some insteresting options here. There is even a single floor rack/stick that could be used as a display rack as well. 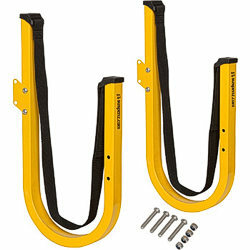 Wall racks are a common choice and fairly economical. This is an easy solution if you have extra wall space. 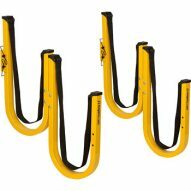 See one persons idea (#3 below) on how to install wall racks using "no brand racks". BOARD STANDS from Jeff Casper on Vimeo. Hight quality Seattle Sports paddle cover is excellent. Both for travel and great for hanging in out of the way places. Click for full review. 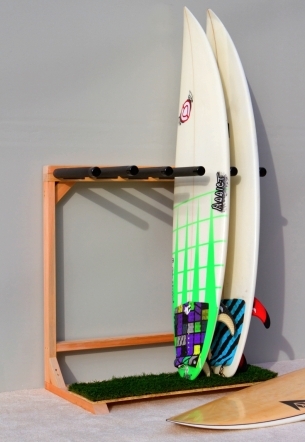 Expandable Suspenz stand up paddle board wall rack. 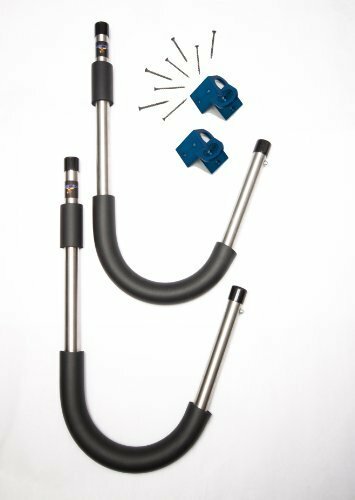 PS-35 Sparehand wall mount. Triple board rack holds 150 lbx. 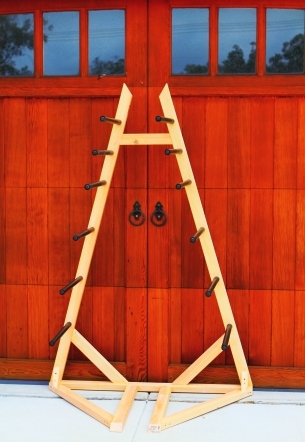 The Moose Rack SUP board storage system. Epic Surf vertical SUP rack. 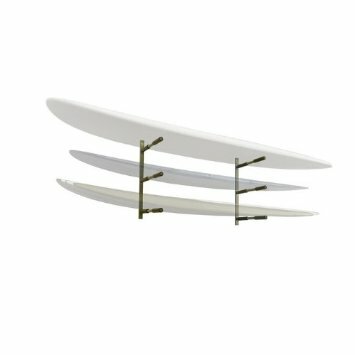 Epic Surf horizontal SUP rack.